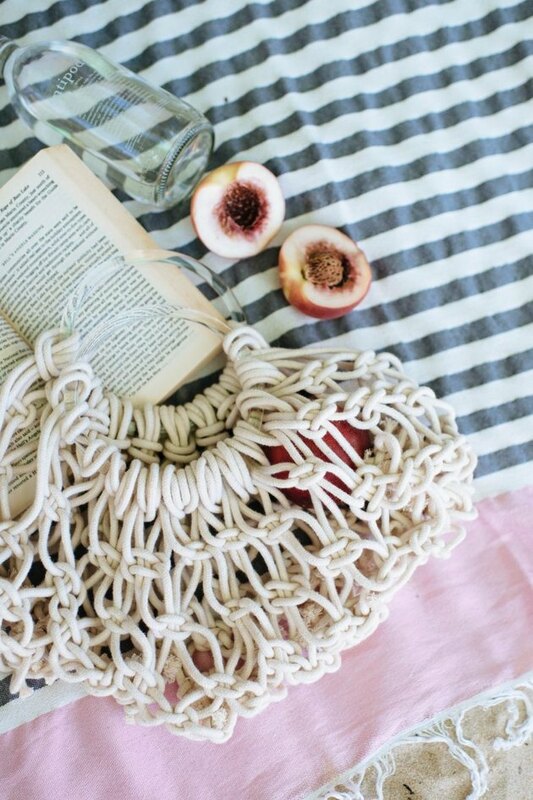 Macrame is a beautiful form of weaving that time and time again seems to find its way back into the latest trends. Interestingly, it dates all the way back to 13th-century Arabia where it was originally started to secure loose ends of textiles like towels (You can read the fascinating history of macrame here). Some forms of macrame are a bit tricky (just look at the talented craftspeople on Etsy where you can buy instead of DIY), but there are also many techniques that are easy-peasy and can be completed in the blink of an eye. 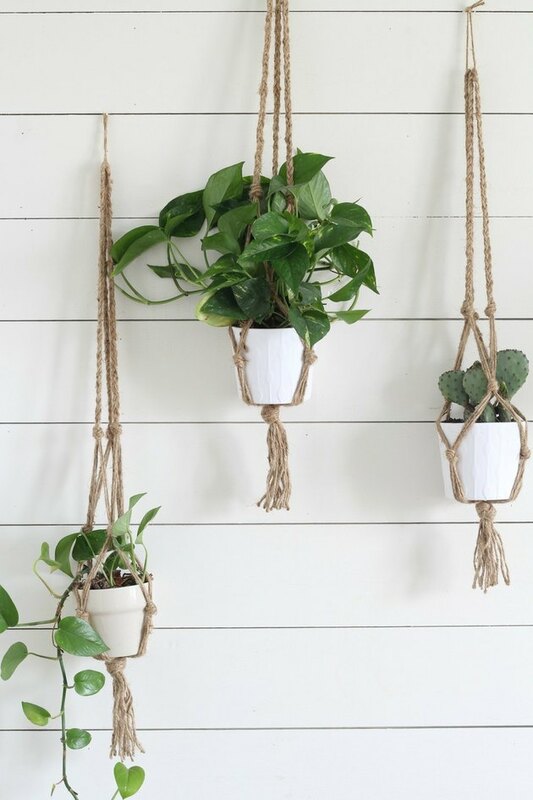 If you'd love to tackle this woven art form, but want to start with something a little simpler, look no further than these nine DIY macrame projects that are boho approved. Here's how you'll finally use those glass jars that you've been hoarding. 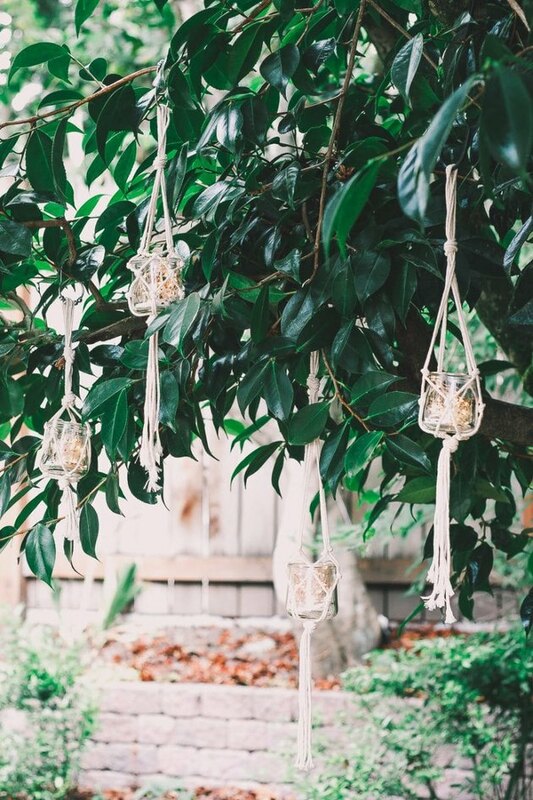 Karen from Decor Hint says that each of these macrame lanterns took only five minutes to complete, using small glass yogurt jars and macrame cording, which she measured and knotted to finish the look. Mandi from Vintage Revivals is always churning out new projects that look as if they've been transported from another era, and this eye-catching macrame rope light is no exception. 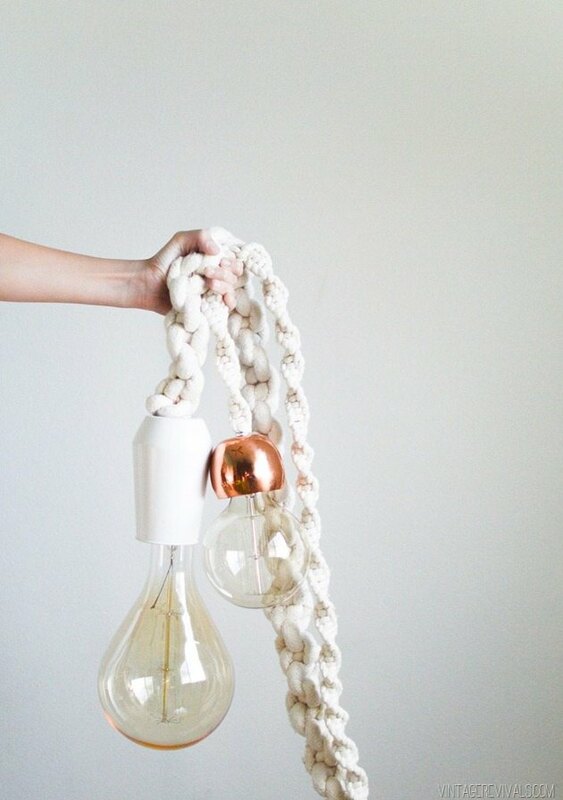 Showcasing attention-grabbing features, she created this hanging light using rope, a lamp cord, a socket kit, and a small vessel. 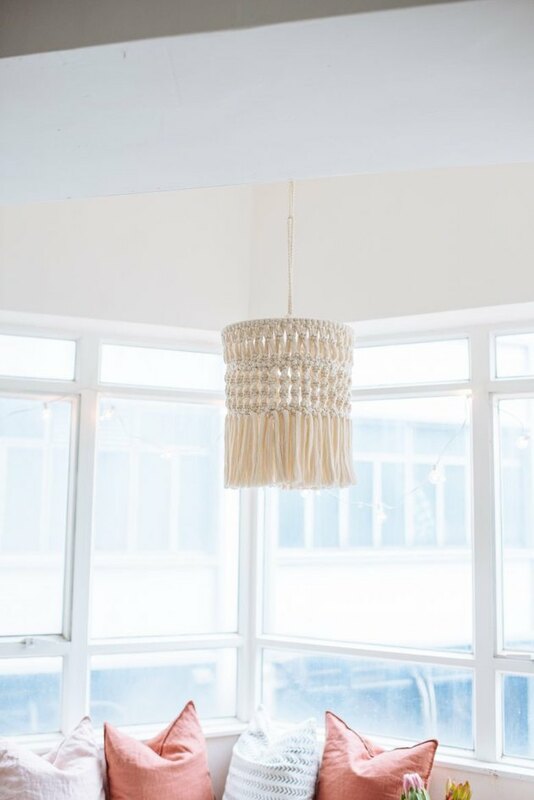 This macrame chandelier created by Geneva from A Pair & A Spare is free-spirited bohemian's dream. It's an unfussy project. Beginning with deconstructing an IKEA lampshade, in the end, you're left with a beautiful light fixture complete with tassel fringe. 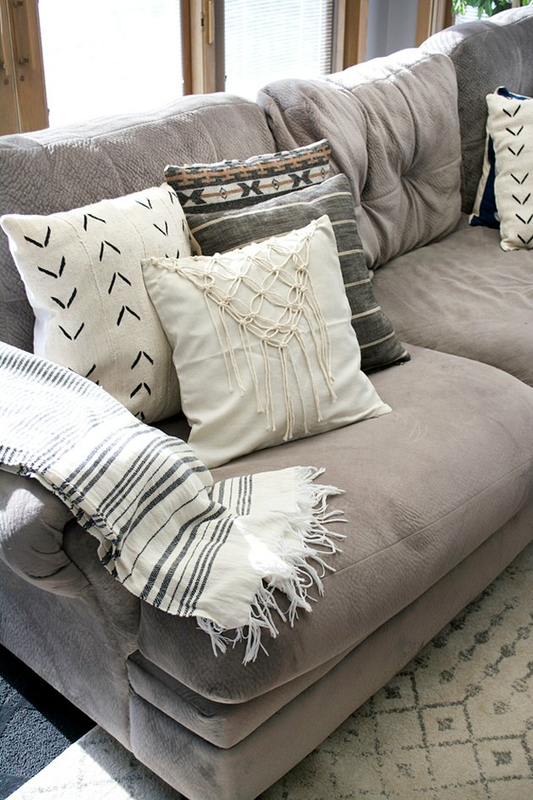 To incorporate a hint of macrame into your home decor, try adding it on a throw pillow or two. As Bre of Brepurposed shares, she simply took some string and a pillow case cover and completed a waterfall pattern to top off the look. You can find the full tutorial on her blog. A classic macrame project is a hanging planter, and it doesn't get much simpler than this tutorial from Lisa over at Farmhouse on Boone. You'll use jute and Lisa's simple knotting instructions and voilà ... you'll have one of these beauties in a few short minutes. 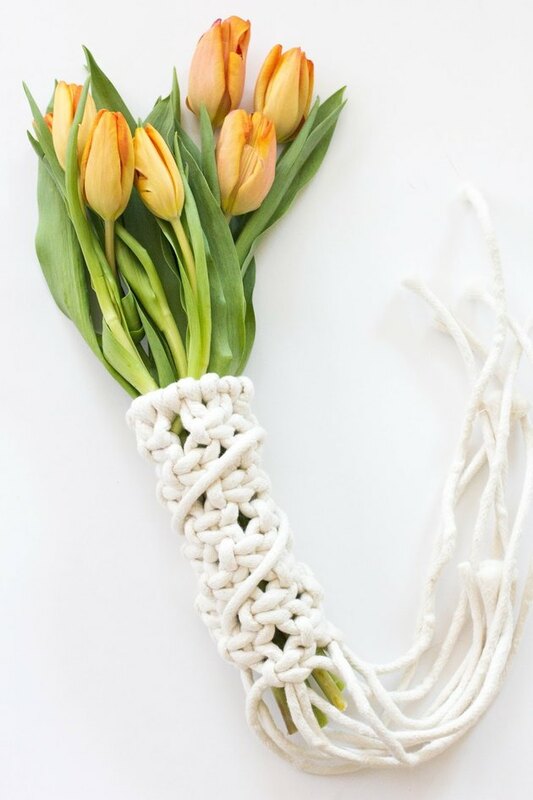 Courtney from Always Rooney came up with a way to tie together a bouquet for a friend: a macrame wrap. Beginning with cotton piping, follow Courtney's instructions and you'll have a chic, thoughtful way to wrap up those gorgeous flowers you picked up at the farmer's market. This might be one of the sweetest DIY gifts for a pal we've ever seen. 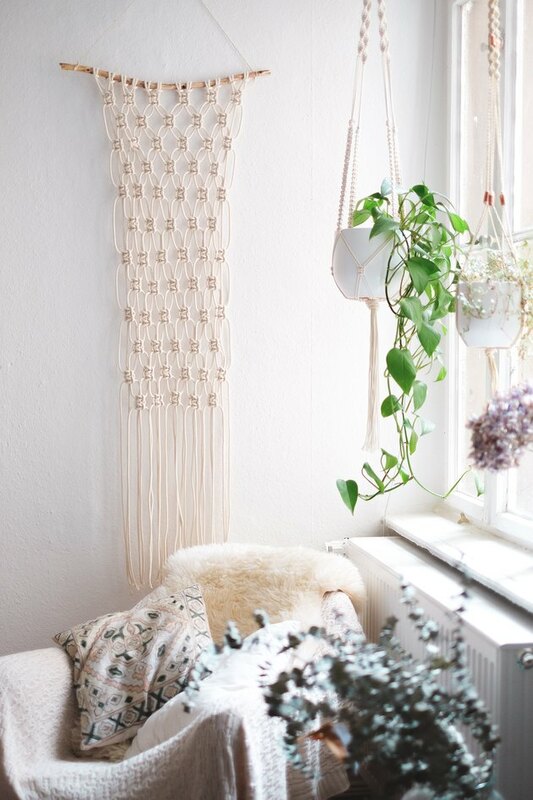 A wall hanging is the quintessential macrame master project to complete, and we especially love this tutorial for beginners from Mia of heylilahey. Starting with a stick and cotton rope, she'll walk you through how to attach and knot the strings, which is actually much easier than it looks. If you're like us and you enjoy imagining yourself shopping at a charming French market (when you're actually shopping at Costco), then this DIY is definitely for you. With this tutorial by Geneva from A Pair & A Spare, you'll use thick rope, a glue gun, and two bag handles to create your very own French-inspired macrame market bag. Très chic! 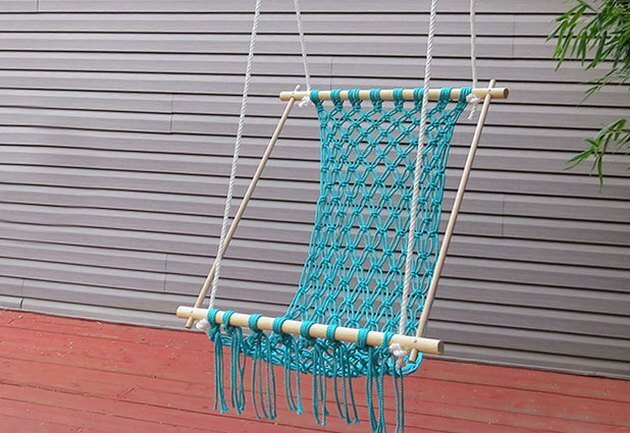 Whether you put it inside or out this little macrame hammock will quickly become a nap time fave. Just be sure to secure it properly so your restful slumber doesn't become a painful nightmare.